It’s just over a month until the world’s biggest and best celebration of classic motorcycles comes to Staffordshire County Showground. The Carole Nash Classic Mechanics Show takes place over the weekend of October 14-15 and it’s no exaggeration to say this year’s event may be the best ever. No Stafford show is complete without a great guest of honour and the Classic Mechanics Show is no exception, with flying Kiwi Aaron Slight – undoubtedly the best rider never to win the World Superbike title – taking centre stage. As fast and smooth on the track as he was flamboyant and controversial off it, and often sporting a multi-coloured Mohican haircut, Slight will have some entertaining tales to share with the Stafford audience. 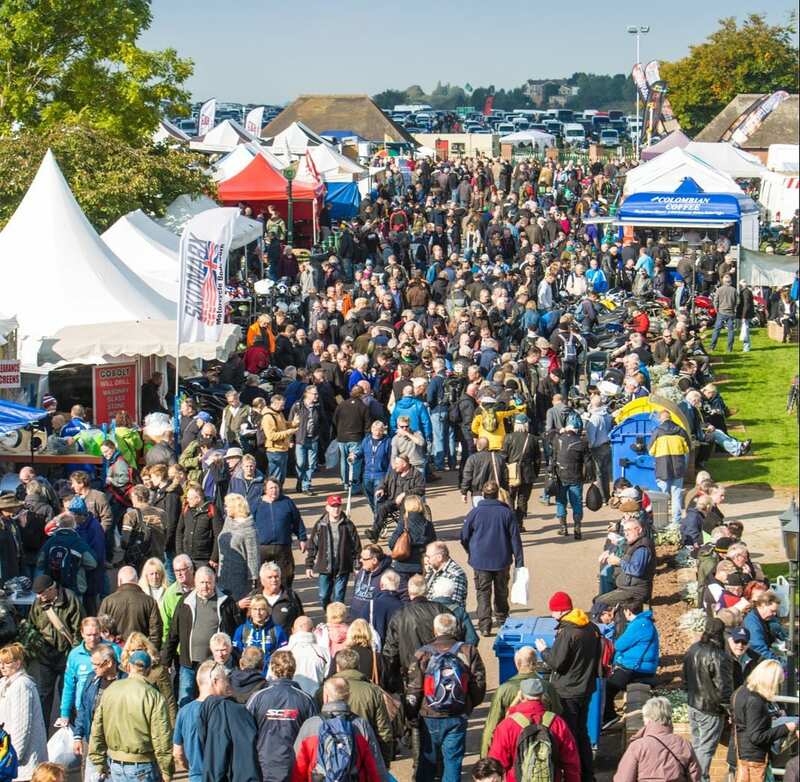 On site will be nearly 1000 trade and autojumble stalls, stunning club stands and private entries – the perfect place for any classic motorcycle fan to pick up that elusive part and meet thousands of other like-minded individuals. There will also be a Suzuki Village overflowing with famous race bikes produced by Suzuki over the years, including the 1976 and 1977 world championship winning RG500s rode by Barry Sheene. This year’s Classic Racer Grand Prix Paddock promises to be the best ever, with a stunning display of Honda RC45 race bikes. Guest of honour Aaron will be drawn to the display as a large part of his World Super Bike career was as a factory Honda rider on just such a machine. All of the RCs assembled have genuine racing history, including Jim Moody’s TT record-breaking factory bike, and many of them will be fired up during the weekend. The Vintage Japanese Motorcycle Club, the UK’s premier club for classic Japanese bikes, will be running the unique Restoration Theatre, sharing their combined years of knowledge and experience with visitors; not to be missed if you have an interest in restoring bikes. If it’s off-road bikes you’re after then check out the Classic Dirt Bike Hall, which will hold some of the tastiest off-road machinery available anywhere. The Stafford Bonham’s auction has become as traditional an October treat as the show itself and will once again be held on the Sunday. Recent Stafford events have seen record-breaking lots and this year’s auction has more than 50 bikes including championship speedway and long track motorcycles. Interesting bikes up for auction this year include the 2007 Aprilia 250cc Grand Prix racing motorcycle which was ridden to World Championship victory by Jorge Lorenzo and the collection of speedway supremo Ivan Mauger, who holds six world records including most world speedway wins. Tickets cost just £12 for adults, £11 for seniors or £3 for under-12s if bought in advance. Parking is free. To find out more or to book advance tickets go to www.staffordclassicbikeshows.com/october or call 01507 529529.